It will drive any German Physiks loudspeaker and any other makers’ loudspeakers that we are aware of. Large heat sinks concealed within the case allow the unit to run continuously at high power whilst remaining cool, thereby improving reliability. Both balanced and unbalanced inputs are provided. The unit’s gain may be adjusted in three steps via the front panel. Each gain setting provides a slightly different “voice” allowing the customer to adjust the character of their system. 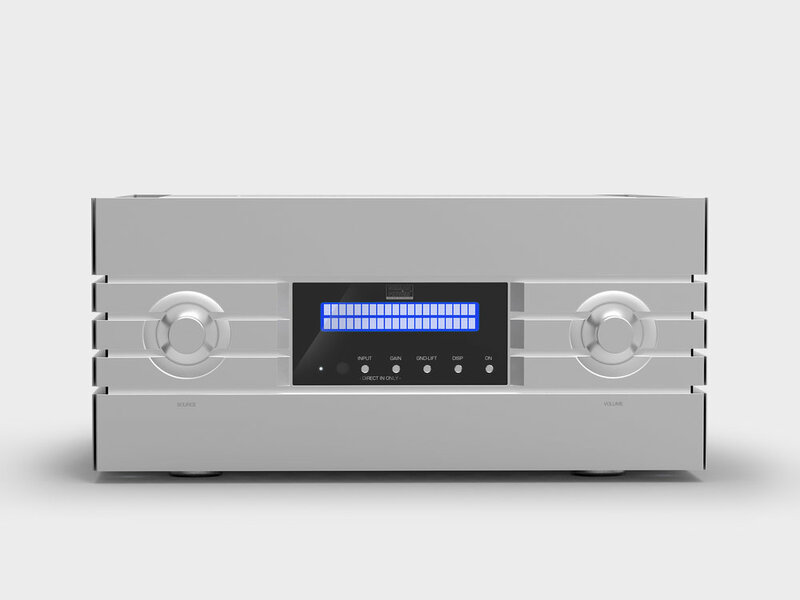 The heart of an amplifier is the power supply, so great care was taken with the design to ensure that it would be able to provide the audio sections with a source of power that was as stable and noise free as possible. The low level signal section, power amplifier stage and control section all have their own independent toroidal power transformers. These were chosen for their low external magnetic fields. To minimise the effects of stray magnetic fields, all three transformers are housed in their own screened enclosures. 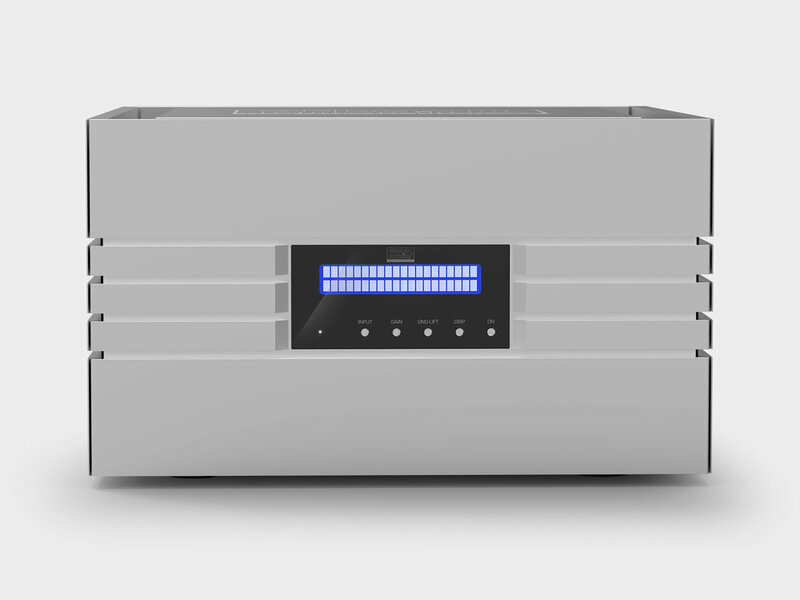 The amplifier’s incoming mains power is not routed through the power switch, as these can have a detrimental effect on the sound, more so with power amplifiers. Instead, this switch supplies power to the standby circuit and when the front panel On button is pressed, this turns on a high current relay which carries the mains power. When a large power supply is connected to the mains supply, the initial in-rush current can be high enough to trip circuit breakers or blow fuses. To prevent this, a 4-stage soft start circuit allows the power supply to “slowly” charge before it is switched out of the circuit. This also reduces the stress on the power relay. High quality power supply capacitors are used with additional decoupling capacitors located physically as close as possible to where they are needed in the circuit. Great care was also taken with the internal grounding to prevent the introduction of noise. Premium grade WBT loudspeaker terminals provide a reliable and high quality connection and are also easy to secure and release. A ground lift control allows the signal ground to be disconnected, which can be helpful in reducing mains hum caused by earth loops. This may be operated using the remote control that is supplied with the preamplifier. Before a single component was soldered, many hours were spent carrying out detailed computer modelling, in order to optimise the technical performance of the various sections of the design. All the components were selected for both their technical excellence and reliability. To further enhance the reliability, all components are operated well within their maximum limits. The final selection of components and topology was made on the basis of exhaustive listening tests, as well as detailed measurements. Great attention was also paid to the aesthetics and the mechanical construction. This is a very high quality product, so the look and build quality had to be of a commensurate level. 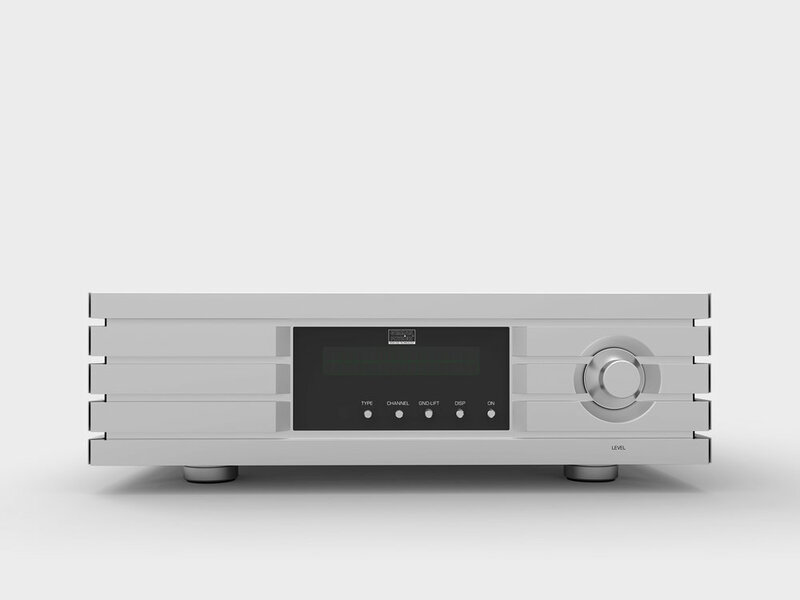 The construction uses an internal steel chassis with a 15mm thick silver anodised aluminium outer case. This provides magnetic screening, together with structural rigidity to minimise the effects of external vibration. The fit and finish of the chassis is first class, reassuring the user of the high level of quality that this product offers. Before dispatch, each unit is given a prolonged burn-in run before being subject to an intensive battery of electronic tests. Only when it has successfully passed these and been given a final physical inspection is it judged ready to be sent to the customer. As part of our process of continually improving our products, we reserve the right to change specifications without notice.